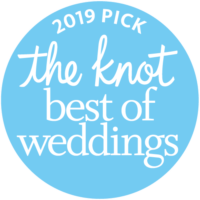 "The Knot Best of Weddings 2019"? This is our High Performance Green Screen Photo Booth it is 10′ wide open air style. We use a 5 point light setup to accommodate various lighting challenges. 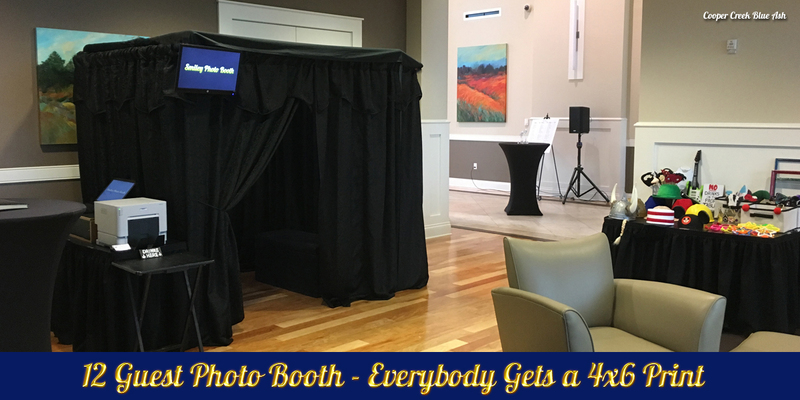 We create one large 4×6 photo from one shot, not 4 shots like the regular photo booth does. The green screen can be replaced with up to 20 of our 1000 HD digital backgrounds or we can create a custom digital background of your choice. We also add your company logo, wedding names or other overlays you may need. 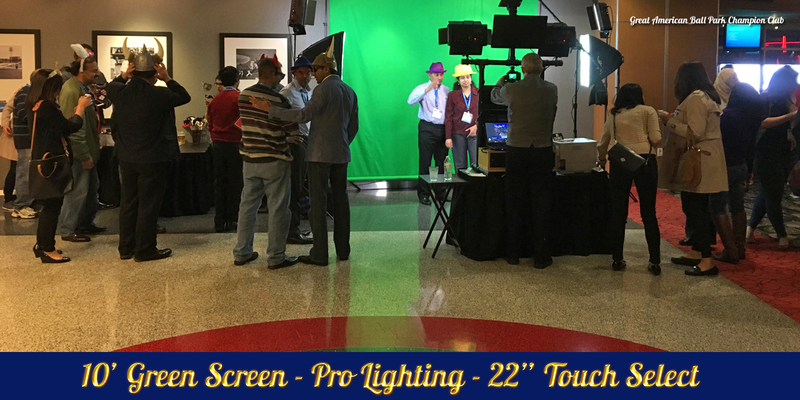 There is a 22″ touch screen monitor for selecting backgrounds and a rear facing 20″ LED monitor for the guests to view the fun. This amazing green screen booth created by us is unique to our company. 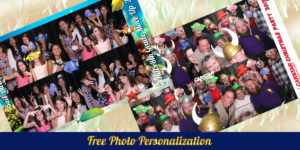 We will print an instant 4×6 photo for every guest in the booth. 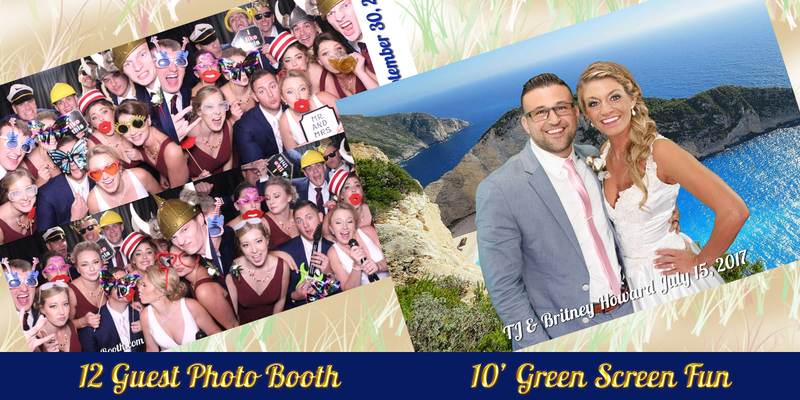 See examples of our green screen photo booth. 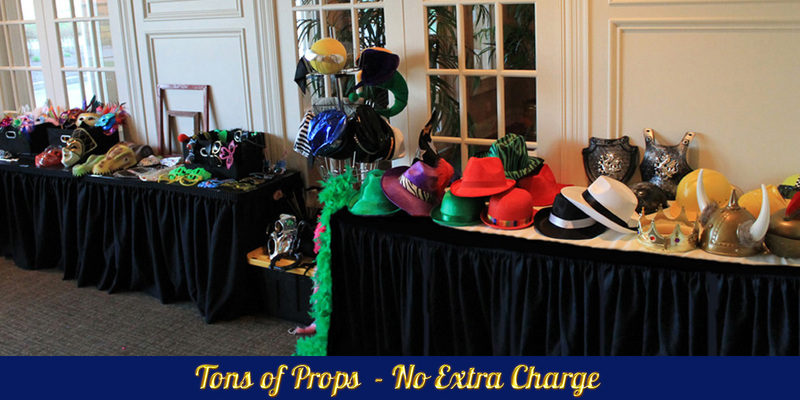 Props are huge part of the fun and we have a lots of them. Viking hats, crowns, tiaras, cop, fedoras and more. We have a variety of big lips on sticks, mustaches on sticks, googly eyes on sticks and opera masks on sticks. We have 21 laminated funny saying signs that are very popular. We have tons of goofy glasses, a variety of picture frames and a lot of one of kind hand made creations by us. We also have seasonal props that we put out a few times a year. This is a very unique prop assortment. Included in all packages. We will create a nice banner for the side of the photo using our favorite thick Lobster font in your wedding or theme color that shows up wonderfully on the photo. We can also create a custom overlay with your corporate logo or artist design. If our 1000 green screen backgrounds aren’t enough we will go and find what you want and add it to our collections. We can do practically anything you can imagine. Included in all packages. 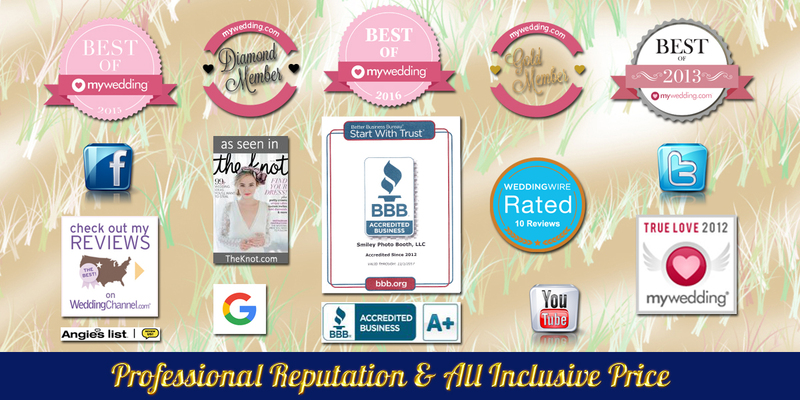 We have many 5 star reviews across all the wedding sites like The Knot, Wedding Wire, and MyWedding. We have many 5 star reviews on Facebook and Google. 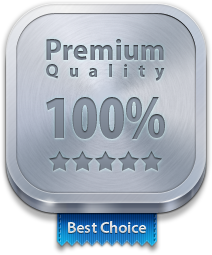 We have many 5 star reviews on Angies List. We have had an A+ rating with the Better Business Bureau since 2012. We know what to do and do it right every time. 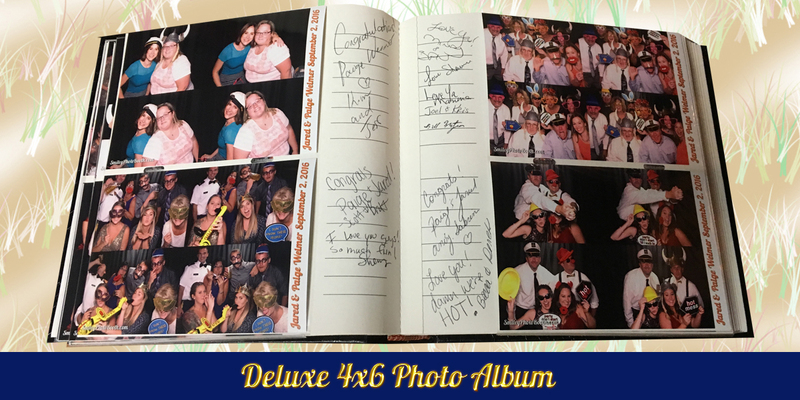 Our Deluxe package gives you a duplicate photo album of every session photo with comment areas. 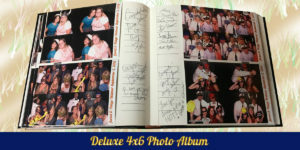 We provide this very nice photo album, give each guest a photo and put a copy in the book for you. At the end of the night we will present the photo album to you. Not included in Classic package, only available as Deluxe or Green Screen $99 add-on. 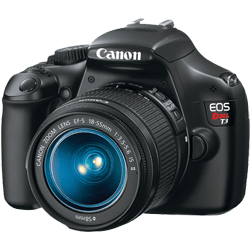 We use Canon 18 mp DSLR cameras that take beautiful high definition 4×6 photos. We will tilt, pan & zoom in for 2-3 guests or zoom out for 12 guests with our pistol grip camera mount for perfectly framed photos. (Nobody else does this). We use dimmable LED lighting for accurate lighting control and the camera shutter is set to 1/60 of a second to freeze the shot. Our software controls the camera and will automatically take 4 photos 4 seconds apart with a countdown timer and onscreen live-view on both the internal & external monitors. The camera will also retain a copy of the photos as well as the laptop hard drive. Our software organizes the 4 shots into a 4×6 template and adds the custom side banner. We push this through with brand new quad core laptops using Windows 10 on SSD drives with 12gb ram, they are so fast they boot up in 6 seconds. 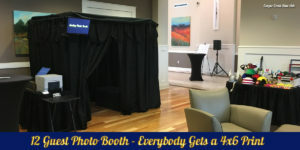 A snapshot of the current session photo is displayed to the guest for them to laugh at while the next photo snaps them laughing at the first photo and so on. It works really well and creates a lot of happy laughing guests. This sequence moves a guest through the booth to photo in hand in 28 seconds. With this amazing speed and efficiency, we can rock any gig from as little as 50 to over 500 and have done gigs as large as 1000 guests. We use the awesome DNP High Speed RX1HS Dye-Sublimation Printers that are designed for events. We will print a 4×6 photo for every guest in the booth every time. (Nobody else does this) This is the same tech you see at photo print stations but much faster. It’s like having your own photo lab onsite. 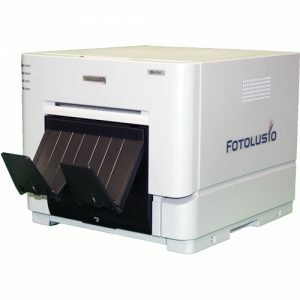 It uses heat to transfer the image through colored film to the white stock paper in 10 seconds. It holds a roll of 700 prints and will just pump them out all night long. It even has it’s own fan built in to keep it cool. It’s a foot square and weighs a hefty 30 lbs. This baby monster will keep the line moving and everybody happy. This awesome system is NOT your average fuzzy webcam and slow PC ink jet printer. We create a slideshow gallery APP that works on your iPhone & Android mobile phones. Way cool stuff. Included in all packages. All the photos are uploaded to our Website gallery and Facebook fanpage usually in 24-48 hours. Included in all packages. All the photos are used to create a DVD slideshow for your home DVD player with royalty free music. Included in all packages. All the photos are used to create a constantly random PC Screensaver with 127 different transitions. Included in all packages.